Whenever a slick new “parent education organization” or similar “grass-roots, do good” venue is launched, one should be advised to hold on to their wallets — because extracting more money from the taxpayers for their political agendas is usually not far behind. But this week’s “Chutzpah Award” goes to Williamson Strong, a “parent organization” that seems to have sprouted miraculously from the “grassroots” for the purpose of “public awareness for the need for people to educate themselves on school issues.” Their website shows that they are setting themselves up to get involved in promoting certain candidates, especially for school board. And just who are some of those behind this seemingly benign organization? That’s right: Williamson Strong is believed to be the brainchild of the Service Employees International Union (SEIU). This is the same union that slavishly promote every left-wing cause known to man and who are among the biggest financial backers ($61 million) of Barack Obama and his education agenda aimed at removing local and state control over schools. 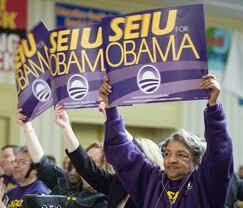 SEIU staffers and Obama campaign staff were practically interchangeable in the last election. 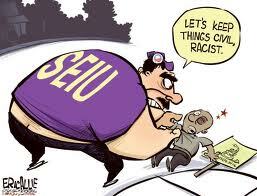 You cannot get more left-wing than the SEIU. So what’s the connection between the goons of the SEIU and Williamson Strong? Meet Susan Drury. According to the Franklin Homepage, Ms. Drury is one of the founding members of Williamson Strong. Her day job has been the SEIU’s Regional Research and Strategic Campaign Director. That’s right: Susan Drury is a union organizer for one of the most brutal and morally corrupt unions in the country. RTP is also hot on the trail of a very similar organization in Sumner County called Strong Schools. Same website platform, same glamour shots of key players, same verbiage, duplicate links, etc. Is the SEIU behind that organization as well?